It's been a while since I've read a book slowly, not because I couldn't get into it but because I wanted to saviour the words on the page. This is precisely what I done with Emma Cline's book, The Girls. It wasn't until I read a review from a fellow blogger that I even heard of the novel, let alone the author but her thoughts on the story compelled me to read it myself. The busyness of the festive period meant that I only got around to delving into the tale this month but I can tell you now it was well worth the wait. Evie Boyd is fourteen and desperate to be noticed. It's the summer of 1969 and restless, empty days stretch ahead of her. Until she sees them. The girls. Hair long and uncombed, jewellery catching the sun. And at their centre, Suzanne, black-haired and beautiful. If not for Suzanne, she might not have gone. But intoxicated by her and the life she promises, Evie follows the girls back to the decaying ranch where they live. This is Evie's story, a coming of age story of sorts, told both in the past and present, it tells of of more olden day, care free times and just how certain moments in time can shape your future self without you even knowing it. Split into four parts, it begins with a description of 'those girls' that managed to capture a then teenage girls attention, an adolescence struggling through those awkward teenage years, looking to be noticed, to feel not so alone as she navigates her way through a sea of hormones and emotions and then a cryptic scene where you get the sense that something terrible is about to happen, quite what we don't know yet. We then revert back to present day when a now adult Evie is lodging at a friends house, seemingly plodding through life with no real sense of purpose, almost as lost as she appeared to be way back when she was a mear fourteen years old. With each part of the novel we are presented with more details, Evie's feelings of events happening now tying in with things that happened in her past. Had she been part of a cult? Did she know how things would turn out when she stepped foot on the ranch all those years ago? 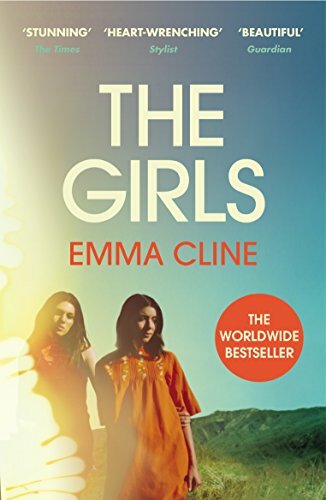 What Emma Cline has created with The Girls is something almost poetic. The words on the pages so well thought out, intelligent and engaging. The story itself is slow burning, but even with such a slowed pace, I found myself wanting to turn the pages at a rapid rate, a need to find out just how it would all end, both in past and present. Something that makes this novel quite unique is the fact that there isn't a girl loves boy thing going on, if anything it gives an insight into the idea of experimentation, because Evie's main fascination is with Suzanne, not the men that appear in her life. The ending is almost left up to interpretation, it's up to the reader to determine just how things did and could pan out for this quite complicated character. The Girls is a beautiful piece of literature. One that captures your attention from beginning to end. Unexpected and thrilling, a must read in my opinion. This is a great review Chantelle and now I really want to read the book, the cryptic scene sounds particularly intriguing!